Everyday winner for higher contrast in colour and black and white printing. Manufactured with ColorLok® Technology. 20 lb. 4.0 mil. Also available in a carton of 10 packages. FSC® Certified. White. 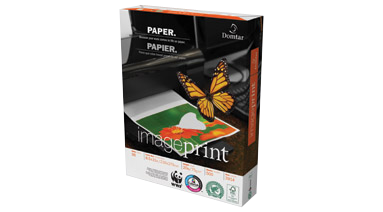 500 sheets/pkg. 8-1/2 x 11. 98 Bright. 90% opaque. Smoothness: 160.